Some of our students have problems with the adverbs “también” and “tampoco”, so today we’re going to review affirmative and negative adverbs. Siempre means “always”. In Spanish we use this adverb to talk about a permanent action (“siempre fui una buena alumna”) or a usual action (“los miércoles siempre vamos al cine”). 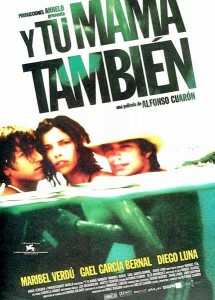 También means “also”: A mí me gustó la película. – A mí también // – He comido demasiado. – Yo también. Nunca means “never” and jamás means “never, ever”: En casa mis padres no hablan francés nunca. En el trabajo yo jamás hablo inglés. Tampoco means “neither, not either” . In Spanish we use this adverb to deny something for the second time: No me gustó la película. – A mí tampoco. // Yo no hablo chino. ¿Y tú?.- Yo tampoco. When we use “nunca”, “jamás” and “tampoco” before the verb we don’t use the word “no”: Nunca hablamos catalán en casa // Tampoco hablamos gallego // Jamás he comido carne de serpiente. When we use “nunca”, “jamás” and “tampoco” following the verb we use the word “no”. Note that unlike English double negatives are acceptable in Spanish: Él no come nunca (He never eats) // Carlos no baila tampoco (Carlos doesn’t dance either) // No cometeré este error jamás (I’ll never make this mistake again). I never buy anything) // Pedro no compra nada tampoco (Pedro doesn’t buy anything either). It’s easy if you practice it. Do you want to try a free trial class with us? Let’s do it. You’ll see how effective, convenient and fun our classes are! You are very welcome! Feel free to ask us your Spanish doubts. We’ll be pleased to help you.